How’s this for a workstation? This telecommuting MacBook Air 11″ features a one-of-a-kind BMW laptop stand and charging station (get it, the motorcycle? ), officially earning this submission an award for the ‘nicest MacBook Air Stand’. 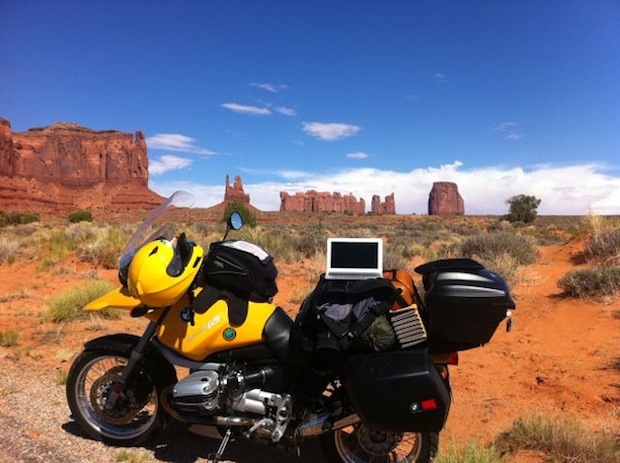 Try not to miss the view of Monument Valley either, what an awesomely unconventional Mac setup! Thanks for sending this in Ulrich!